We make three types of bread daily, a stoneground wholemeal soda bread, a white for rolls and panini and a malthouse for sandwiches, loaves and baps. 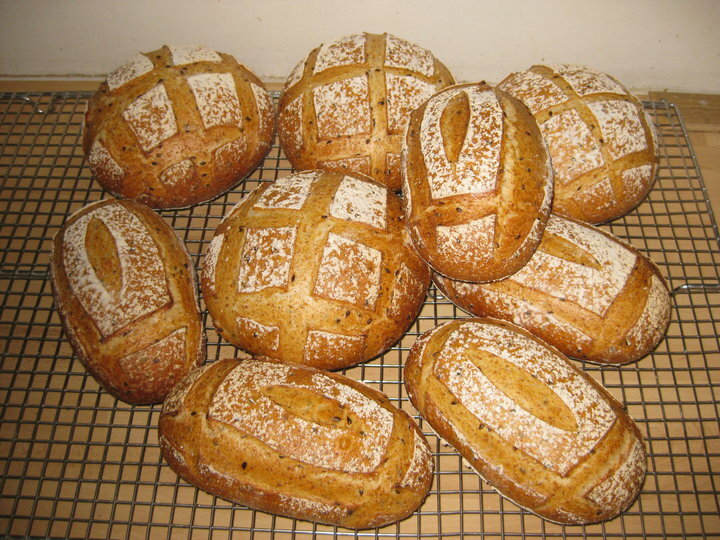 The white and malthouse are made with Doves Farm organic flours and elaborated using the Pâte Fermentée method to create a yeast spiked poolish to start the bulk ferment. All fermentation and proving is carried out refrigerated over 3 day cycle, Pâte Fermentée 24 hours, poolish 24 hours, bulk ferment 6 hours and proving 18 hours. The ingredients are flour, water, salt, yeasts and bacteria.